Darth Vader. Dark lord of the Sith. A former Jedi who looks proper space-wizard when dressed in head to toe leather, and can throw starships around at those puny Rebel scum when they get on his bad side. 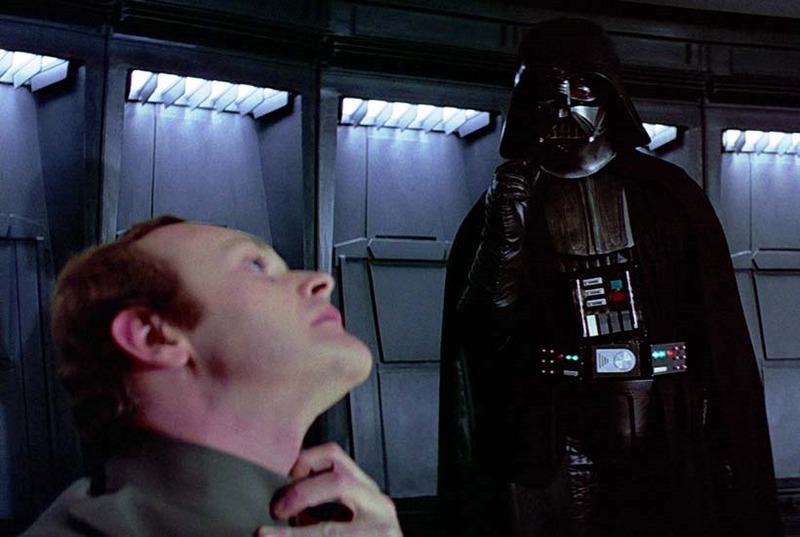 But the one thing that you’ve really got to know about Darth Vader, is that he was this close to being named Darth Brady, based on his habit of Force-choking Imperial admirals who constantly fail him. The Darth Vader Force-choke. It’s like a Sith lord high-five to your windpipe.